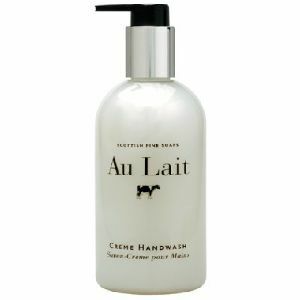 The Au Lait 300ml bottles are the perfect accompaniment to the Au Lait miniature toiletries range. These 300ml bottles come complete with bottle, chrome pump and 300ml of either liquid Hand Wash, Shampoo, Conditioner, Bath & Shower Gel & Moisturiser. The 300ml bottles can be displayed direct on a counter top, flat surface or sink/bath. However they can also be twined with one of our chrome caddy dispensers or wall mounted with their own chrome dispenser ( both sold separately). The 300ml bottles can either be disposed of once finished and replaced or if you are looking for the most cost effective solution they can be refilled many times by simply purchasing the relevant 5ltr Re-fill bottles ( sold separately) which come with their own pump making refilling simple and easy.